Traffic information service plays an important role in one’s daily life. However, traffic information processing is very complicated because of its dynamic, cooperative and distributed features. This paper presents the Service and Monitoring Oriented Traffic Information Grid. In this system, it is a remarkable characteristic to provide real-time, dynamic information services for travelers and traffic managers by grid technology. The system provides travelers with services of optimized route scheme, bus arrival prediction based on real-time route status, and route status forecast. For traffic managers, the system can provide vehicle tracing, traffic monitoring, history data analysis, and decision making on traffic control strategy. In this regard, key research includes large multi-source traffic data integration, route status forecast, and optimum dynamic travel scheme implementation based on massive GPS data. With the aim of making all resources in Internet overall connected and shared, grid (Foster, Kesselman, & Tuecke, 2001; Foster, Kesselman, Nick, & Tuecke, 2002) became a research focus after Internet and Web. To promote the computation performance, grid tries to make the most of the resources, including supercomputers, storage devices, network, software, information, knowledge, scientific instruments and others. In USA, grid researchers are focused on computing grid and data grid, such as TeraGrid (TeraGrid, 2000) and GIG (Global Information Grid). In Europe, grid project, including DataGrid (DataGrid, 2004), e-Learning (E-Learning Centre, 1994), and e-Culture, emphasize grid application. In other countries, such as Japan, India, Singapore, South Korea, and so on, some grid programs have been established. China has also enhanced investment to grid research and applications. At present, some key projects have been supported, e.g., National Grid by 863-program, ChinaGrid project by Ministry of Education (MoE), Network Computing by NSFC, and Shanghai Grid by Shanghai Municipality (ChinaGrid, 2003). Information Service Grid (ISG) intends to share data, knowledge, software and other kinds of information in Internet. Because these information resources are distributed, dynamic and heterogeneous, ISG provides autonomic, QoS assuring, scalable and dynamic information services for virtual organizations. 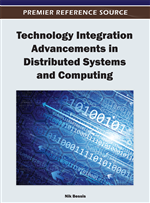 Researchers have applied ISG to Intelligent Transportation Systems (ITS) (Zhang, Zhi, Zeng, & Jiang, 2004). Road construction in China is the fastest in the world. However, the traffic capacity of road network cannot match the increasing of traffic flows, and traffic jams are becoming more and more serious in large cities. Government has realized that only construction cannot deal with the transportation problems. Advanced information technologies are required to increase efficiency of the transportation management. Actually, some big cities, like Shanghai City Transportation Management Bureau (SCTMB) has attempted to improve work efficiency and management level by information technology. SCTMB, and its subordinate administrative offices and companies, have already developed some management systems for taxi, bus, truck, etc., respectively. But the main disadvantages of these systems are: 1) these systems are isolated and transportation data cannot be shared and utilized efficiently; 2) transportation management systems cannot support the exact, real-time and dynamic information services. Therefore it is urgent to integrate all isolated systems and develop an overall information service system, a statistic analysis system, a real-time monitoring system, and an assistant decision making system. At the end of 2003, we began to cooperate with Shanghai City Traffic Information Center (SCTIC) to establish a transportation information service platform based on Grid. SCTIC provides us with historical and real-time GPS data and implements traffic information services on-demand and information release. The grid nodes of Tongji University and Shanghai Supercomputing Center provide computing support. In August 2004, we developed the prototype system version 2.0 (Jiang, Zhang et a1., 2005) of Traffic Information Grid (TIG) based on the version 1.0 (Zhang, Zhi, Zeng, & Jiang, 2004; Jiang, Zeng et a1., 2003). In 2006, we develop the model system version 3.0 of TIG under the support of National Develop and Reform Commission of China. In this system, besides real-time GPS data, real-time sensors data and video data are also provided by SCTIC. And the aim of the system is not only provide traffic information, but also for traffic monitoring.